Stephen Stricklin can help you build a solid financial future. 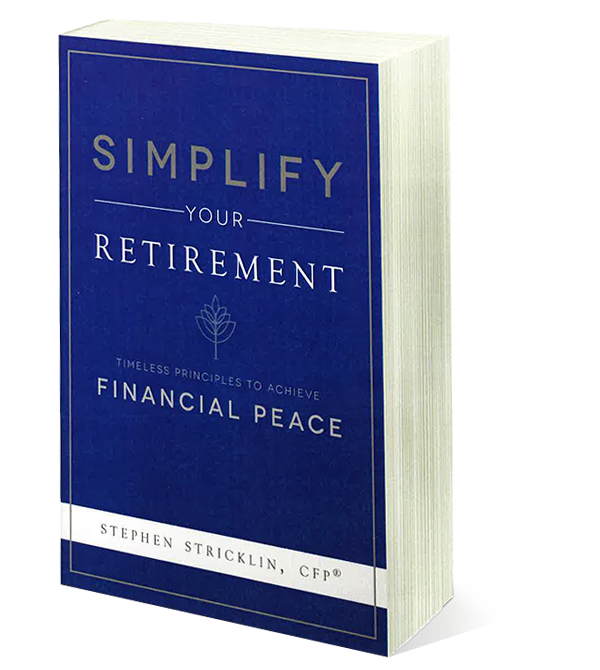 Order your copy of Simplify Your Retirement today to discover timeless principles to achieve financial peace. Book Stephen as a guest speaker to share his expertise with your audience. 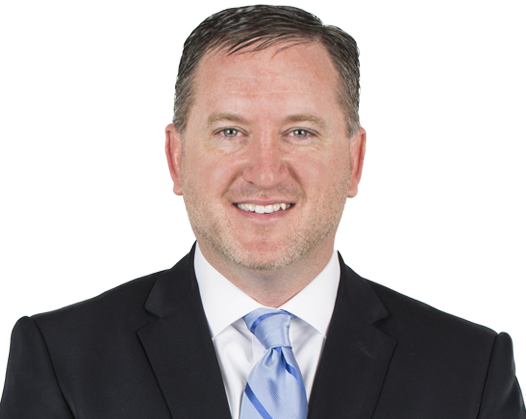 Stephen Stricklin is the president and founder of an independent, full-service wealth management firm. After starting his career as a teacher and a coach, Stephen took his passion of educating others and adapted it to the financial services industry. He was motivated by the desire to bring financial wisdom to his clients. He enjoys working with business owners, professionals, families and individuals who believe that wealth is a tool that needs to be managed wisely in order to produce the best results. Stephen believes financial peace comes from having a plan – which is the basis for all other decisions. He is a CERTIFIED FINANCIAL PLANNER™ professional, a Certified Kingdom Advisor™ and he holds insurance and securities licenses. He believes in listening to his clients and creating customized financial plans based on their unique needs and goals. More than being a fiduciary, Stephen and his team believe in the timeless principle known as the Golden Rule: Treat others the way you would want to be treated. This philosophy sets Stephen and his team apart in a world of robo-advisors, online investing and generic advice. He and his team of advisors seek to serve their clients’ best interests, and gauge their success only on if their clients feel successful. He provides financial education and motivation through his workplace financial education workshops and he provides financial inspiration and instruction to churches and faith-based organizations. Stephen has been recognized as a finalist for Retirement Advisor of the Year by Retirement Advisor magazine, an annual honor bestowed on the top five retirement advisors in the nation. He also founded Simplify Your Retirement, a retirement-focused baby boomer course designed to empower pre-retirees and retirees to take control of their financial futures. He is an energetic and inspiring national public speaker and has been featured in Forbes, quoted in U.S. News & World Report, hosted his own radio show and is a frequent TV guest. Stephen is married to his wife Amy, and they have four children together. He resides in Lee’s Summit, Missouri, where his firm is based. He enjoys traveling, spending time with his family and is an avid sports fan. He is active in his local church, sits on several non-profit boards, is involved in international missions and is a significant contributor to many philanthropic endeavors. For more information or to schedule Stephen Stricklin to speak at your event, contact Stephen through the form below. After starting his career as a teacher and coach, Stephen took his passion of educating others and adapted it to the financial services industry. He was motivated to bring clarity and simplicity to Main Street investors. His desire to bring financial wisdom to his clients let him to launching his own registered investment advisor firm, which he aptly named, Wise Wealth, LLC. With its primary office loacated on Main Street in Lee’s Summit, Missouri, Wise Wealth LLC is committed to working alongside you to build a solid financial future. Honesty, integrity and the Golden Rule are at the core of how Wise Wealth operates. As an independent, full-service Registered Investment Advisor firm, Wise Wealth does not represent any particular third-party company or specific financial product, and therefore acts solely in your best interest. Stephen founded a breakthrough program called Simplify Your Retirement. His nationwide network of insurance and financial professionals have adopted this innovative program to bring baby boomers a comprehensive personal finance course that empowers them to prepare for a stable and peaceful retirement. Sensing that his vocation is a calling and a mission, Stephen developed a series of Biblically-based financial lessons. The series of lessons are both practical and theological. Stephen has a desire to come along side churches and faith-based organizations to assist them in equipping their groups by providing Biblically-based financial instruction that brings lasting results and makes an eternal impact. Simplify Your Retirement: Timeless Principles to Achieve Financial Peace is a book outlining how having a plan can significantly improve your peace of mind and allow you to pursue your dreams to and through retirement. However, having a plan can significantly improve your peace of mind and allow you to pursue your dreams to and through retirement. No investment decisions outside the context of the plan. The plan determines the products. Don’t let your portfolio take a HIT (health care, inflation, and taxes). Protect the income; grow the rest. Financial peace comes from having a plan. This book is for people who have investments, but do not have a plan. For people who have a goal to retire, but want to know what to do in order to get there and then enjoy it. 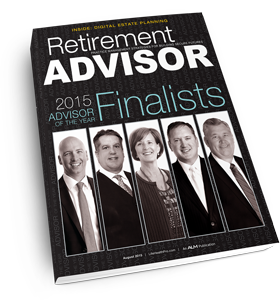 Stephen Stricklin, CFP® was named one of five finalists for Retirement Advisor magazine’s prestigious “Advisor of the Year” award for 2015. © 2019 Stephen Stricklin. All Rights Reserved.